Pro-Lift offer professional and effective forklift training in Runcorn, we only use registered Accrediting Bodies Association (ABA) Instructor’s to deliver our training and can ensure your company is fully HSE compliant. We know that busy companies don’t want to be disrupted by the training needs of their staff, which is why we are committed to coming to your workplace whenever it’s convenient for you. Our instructors are available 24 hours a day, 7 days a week and that includes weekends and bank holidays. Lift truck safety in the work place is of major importance to us all, accidents can injure staff and damage equipment, resulting in a loss of productivity. The best way to avoid such incidents on your premises is to properly train the people who are responsible for operating your forklifts. Pro-Lift can deliver forklift training in Runcorn which is customised for your workforce and helps you to manage the specific risks you face. Our expert instructors are able to provide Novice Training courses, Refresher Training and Conversion Training. 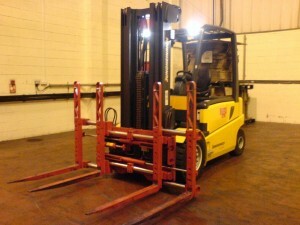 Our range also includes Familiarisation Training to instruct staff on the use of new equipment and Attachment Training, which ensures they can safely use a modified forklift. For more specialised situations, we have inspectors who will conduct a Root Cause Investigation to establish what went wrong during an accident and Company Assessments, to assist with the recruitment of new members of staff. If you would like more information, or to book an on-site training course, just give us a call.